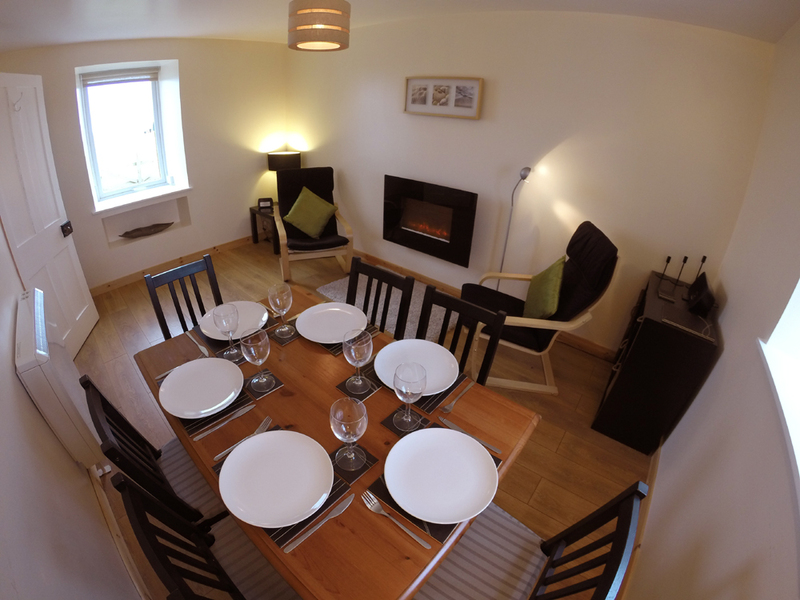 If you’re seeking the perfect holiday cottage in Scotland then this is exactly what you’re looking for. 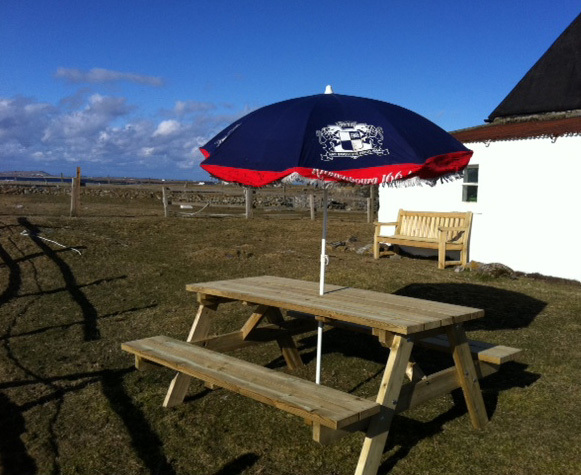 Our cottage is located at Heanish on the wonderful Isle of Tiree with stunning dual aspect sea views and literally less than 150 yards to a large, sheltered sandy beach. 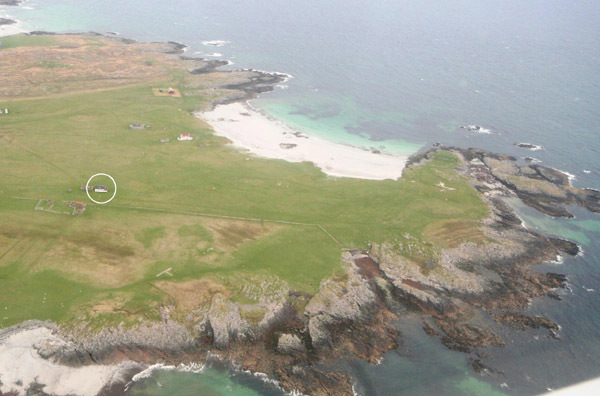 Tiree is the most westerly of the Inner Hebrides and enjoys the reputation for being one of the sunniest places in Britain which makes it the perfect place for a Scottish holiday. 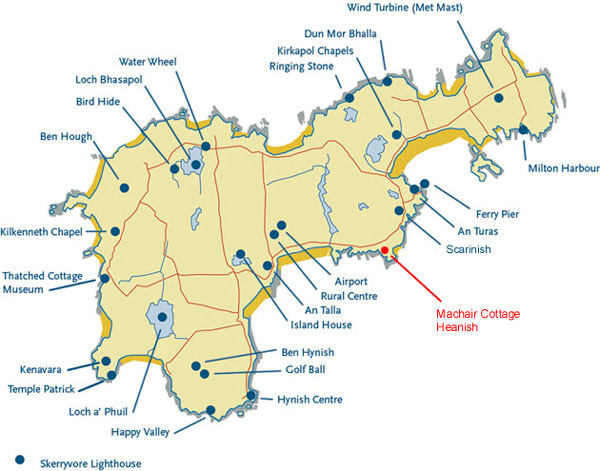 The ideal headland location of the cottage, close to Scarinish150 yards to white sandy beach...! 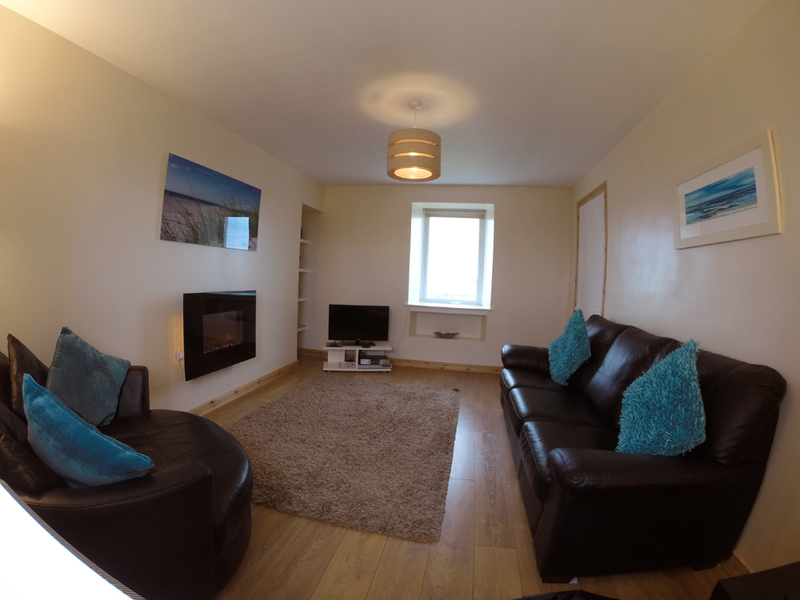 The cottage is located on a small headland, next to an old ruined cottage which dates back into the 1800s and with only a handful of other residential properties around, the nearest one being over 100 yards away, it has a truly “get away from it all” type feeling. And yet, it is just 10 minutes walk (5 minutes on a bike and if you want to drive it’s less than 2 minutes!) 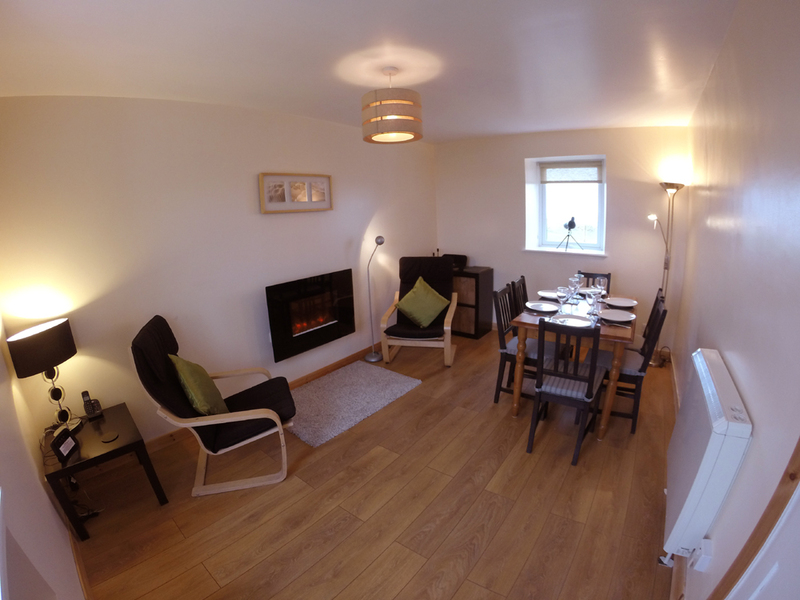 to Scarinish which has the main supermarket on the island as well as the Scarinish hotel with its bar and restaurant – all in all, a stunning island location with handy convenience all in one perfect cottage holiday package. 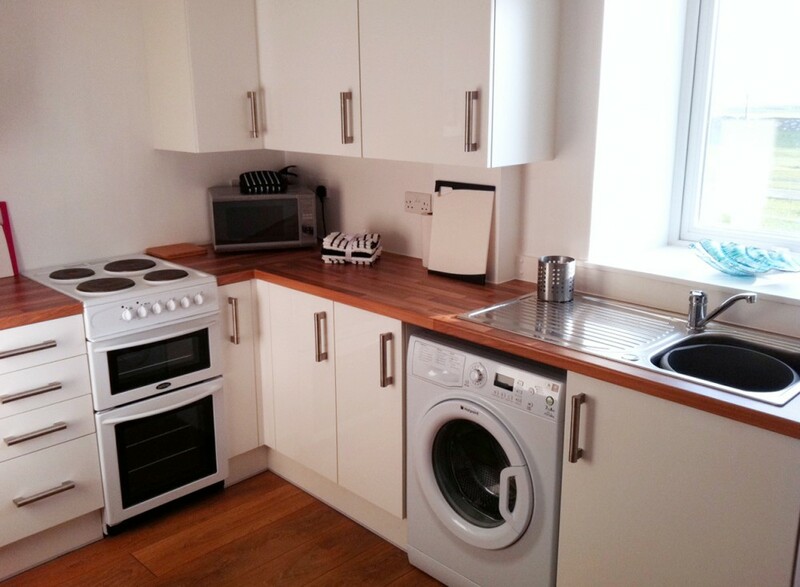 The renovation of the cottage was completed in June 2012 plus we had a brand new kitchen installed in 2014. 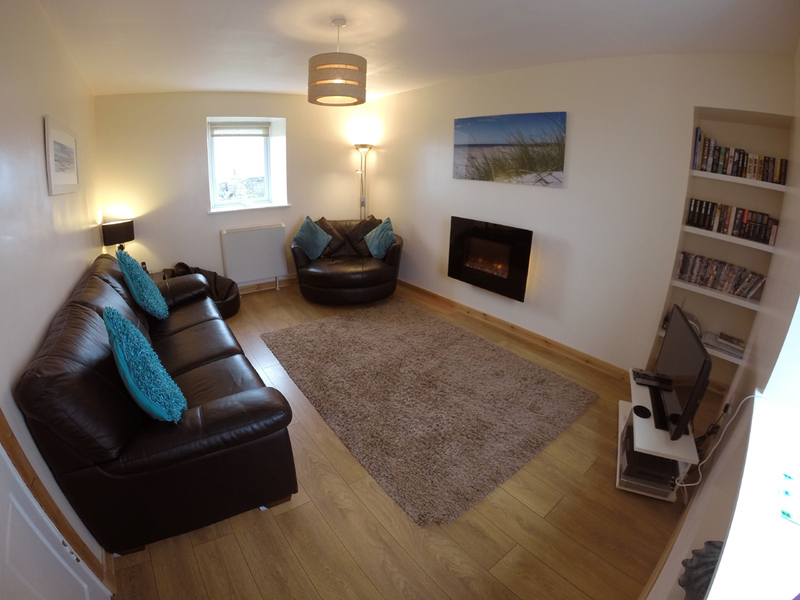 It has 2 bedrooms, both with wonderful sea views front and back, a lounge and separate dining room, again both rooms have dual aspect sea views, plus the kitchen which has far reaching sea views right across Hynish Bay. 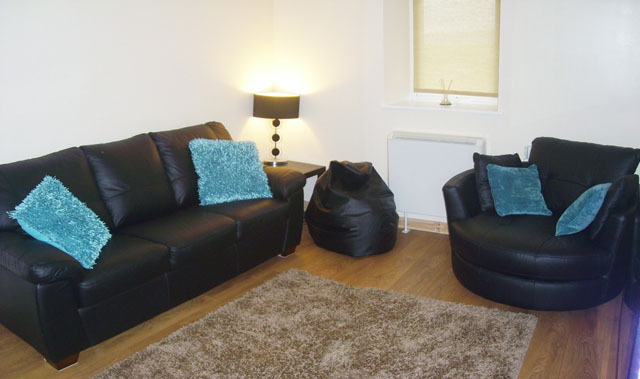 Snuggle sofa in the lounge, big enough for 2 or have it all to yourself...! 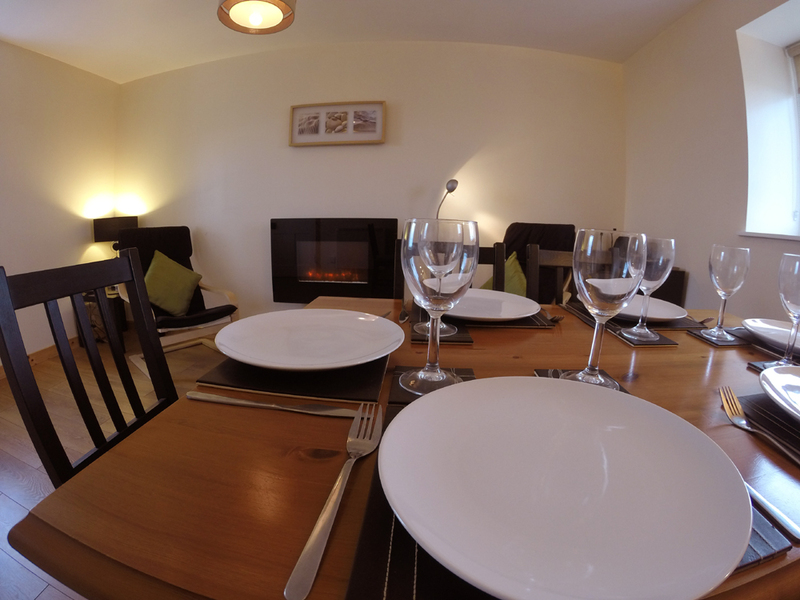 There is a large and comfortable sofa bed (with a 5′ kingsize mattress) in the lounge so the cottage can comfortably accommodate from four to six people which, together with dining places for 6 people as well, makes it a great self catering cottage. 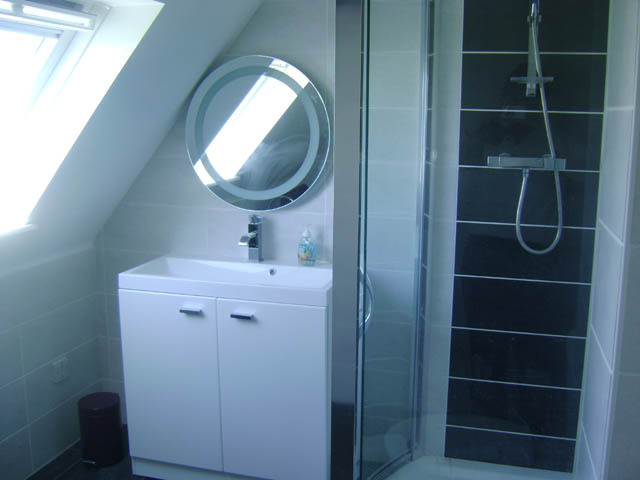 The cottage benefits from storage heating, has FreeSat TV, a brand new 32″ LED flat screen TV and DVD player including a small selection of DVDs and books. 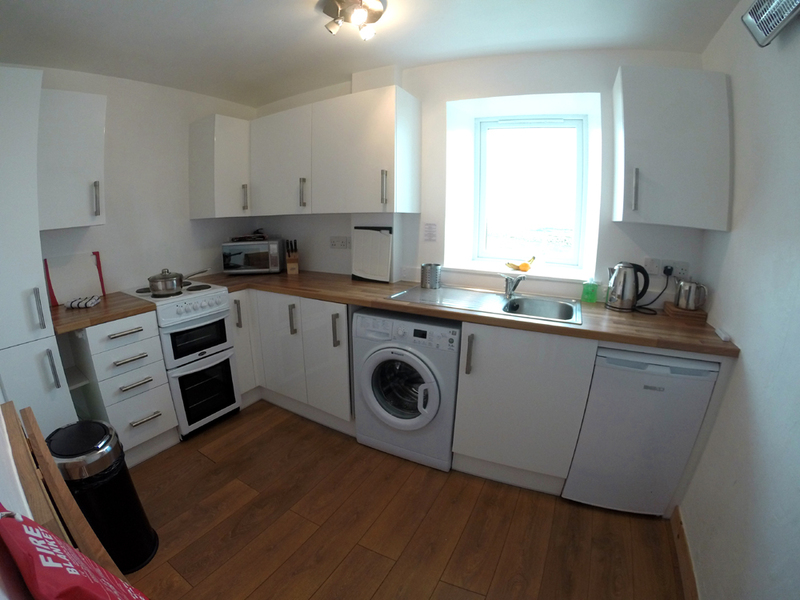 The brand new kitchen includes a double oven, fridge and very easy to use washing machine – all whilst enjoying the wonderful sea view across Hynish Bay. 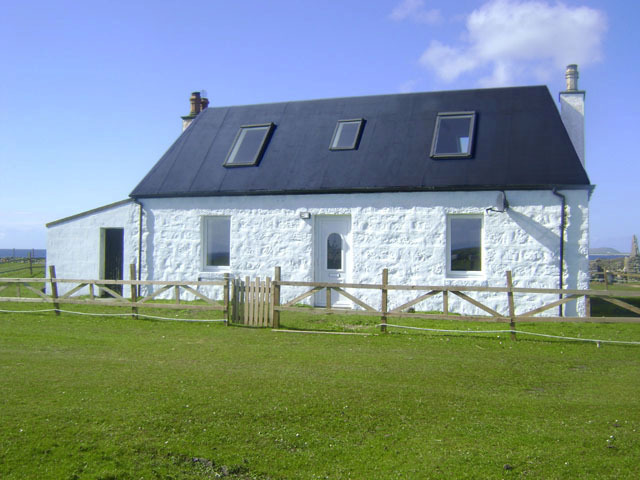 Wireless broadband is also available in the cottage just in case you can’t resist picking up your emails even when you’re taking a holiday on a remote Scottish island…! 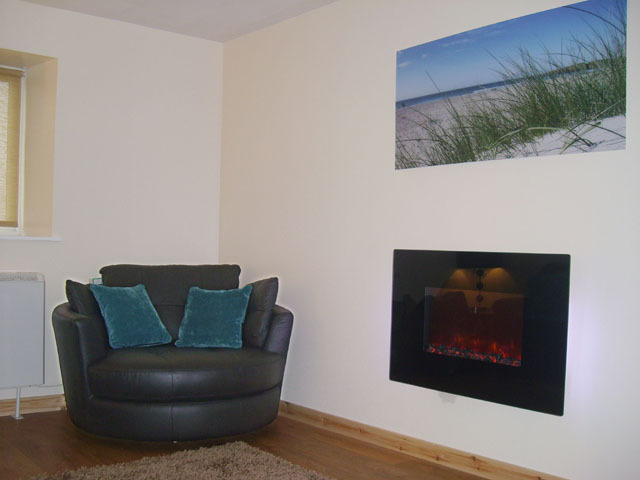 The holiday cottage is available to rent almost all year round so please do not hesitate to contact us should you want further details or be interested in making a provisional booking for a holiday let. 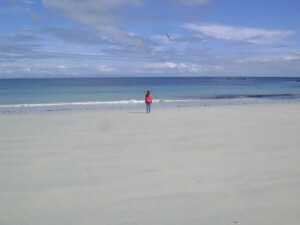 For the perfect holiday cottage in Scotland visit Tiree and enjoy an amazing island experience.